Despite his young age Luigi is a brilliant researcher, enterprising and curious. He is hungry both for knowledge and for good food! His enthusiasm for the job is contagious and he does not stop in front of any obstacle. Luigi Asprino is a PhD student in Computer Science and Engineering at the University of Bologna under the supervision of Prof. Paolo Ciancarini and Dr. Valentina Presutti. 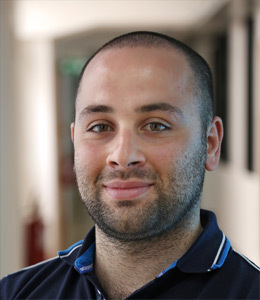 He is also a research assistant at the Semantic Technology Laboratory (STLab) of the National Research Council (CNR), in Rome. In October 2014, he earned a master’s degree in Computer Engineering from Sapienza – University of Rome. In January 2015, he joined STLab. During his period in STLab he actively contributed to the following Italian and European projects: FOOD, MARE, MiBACT, MARIO. His research interests include knowledge integration, web service composition, ontology design and semantic web. Empirical Analysis of Foundational Distinctions in Linked Open Data, Asprino L, Basile V, Ciancarini P, Presutti V, In Proceedings of the Twenty-Seventh International Joint Conference on Artificial Intelligence, IJCAI 2018, July 13-19, 2018, Stockholm, Sweden., 2018. Empirical Analysis of Foundational Distinctions in the Web of Data, Asprino L, Basile V, Ciancarini P, Presutti V, In CoRR, volume abs/1803.09840, 2018. Autonomous Comprehensive Geriatric Assessment, Asprino L, Gangemi A, Nuzzolese AG, Presutti V, Recupero DR, Russo A, In Proceedings of the 1st International Workshop on Application of Semantic Web technologies in Robotics co-located with 14th Extended Semantic Web Conference (ESWC 2017), Portoroz, Slovenia, May 29th, 2017., 2017. A Knowledge Management System for Assistive Robotics, Asprino L, Gangemi A, Nuzzolese AG, Presutti V, Russo A, In Proceedings of the 1st International Workshop on Application of Semantic Web technologies in Robotics co-located with 14th Extended Semantic Web Conference (ESWC 2017), Portoroz, Slovenia, May 29th, 2017., 2017. Knowledge-driven Support for Reminiscence on Companion Robots, Asprino L, Gangemi A, Nuzzolese AG, Presutti V, Russo A, In Proceedings of the 1st International Workshop on Application of Semantic Web technologies in Robotics co-located with 14th Extended Semantic Web Conference (ESWC 2017), Portoroz, Slovenia, May 29th, 2017., 2017. Framester: A Wide Coverage Linguistic Linked Data Hub, Gangemi A, Alam M, Asprino L, Presutti V, Recupero DR, In Knowledge Engineering and Knowledge Management - 20th International Conference, EKAW 2016, Bologna, Italy, November 19-23, 2016, Proceedings, 2016. The Role of Ontology Design Patterns in Linked Data Projects, Presutti V, Lodi G, Nuzzolese AG, Gangemi A, Peroni S, Asprino L, In Conceptual Modeling - 35th International Conference, ER 2016, Gifu, Japan, November 14-17, 2016, Proceedings, 2016. FOOD: FOod in Open Data, Peroni S, Lodi G, Asprino L, Gangemi A, Presutti V, In The Semantic Web - ISWC 2016 - 15th International Semantic Web Conference, Kobe, Japan, October 17-21, 2016, Proceedings, Part II, 2016.